2 Beds 2 Baths 1,003 Sq. ft.
Prime Dr. Phillips location! 2BR-2BA 2nd floor condo in a gated community just minutes to area theme parks, Sand Lake Road dining and shopping and top rated school district too. The spacious kitchen with all appliances included is open to the dining and living room. Screened porch with storage closet. Large laundry room off the kitchen with full sized washer & dryer included. Both bedrooms are a good size and have walk-in closets. New A/C in 2014, water heater in 2016 and new master bedroom window in 2017. Inside just painted and ready for a new owner. (Both Bathrooms have new cement backerboard and tiles and tubs refinished in September 2017). Perfect for an investment property (complex has a great rental history), first time Buyer or vacation property near area theme parks and attractions.Resort style community features a clubhouse with fitness center, 2 pools, tennis, volleyball and basketball courts, lakeside deck-gazebo-fishing pier on Big Sand Lake, playground and car wash station. 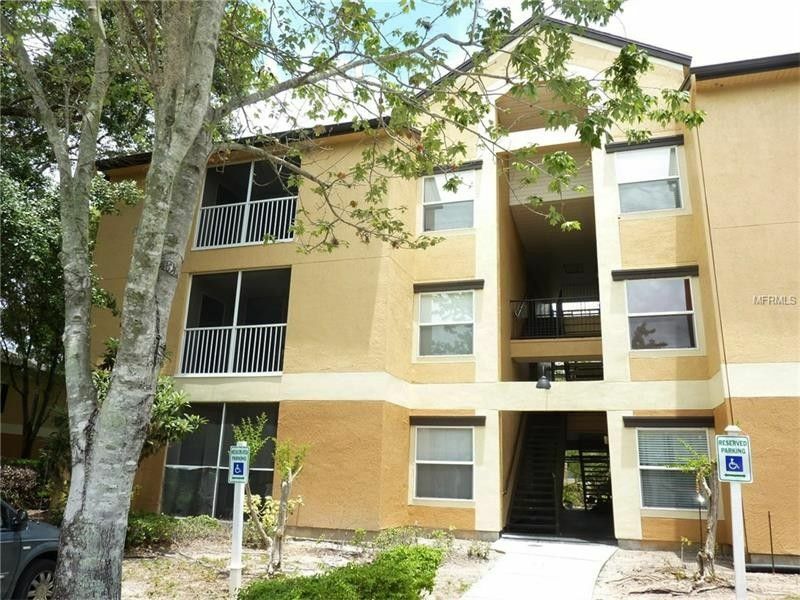 On-site property manager and on-site rental office to handle property rentals and management.Conveniently located near shopping, Universal Studios, Disney, International Drive, I-4 interchange, Millenia Mall, Downtown Orlando and the Airport. Driving Directions: Sand Lake Road to south on Turkey Lake Road and go about 1 mile to community entrance on the right. Left on Seurat Street to first building.